1. 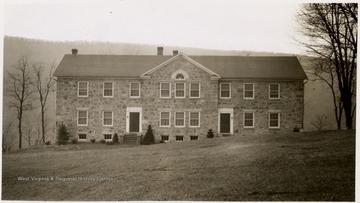 Cook Hall on Storer College Campus, Harpers Ferry, W. Va.
Cook Hall on Storer College Campus, Harpers Ferry, W. Va.
2. 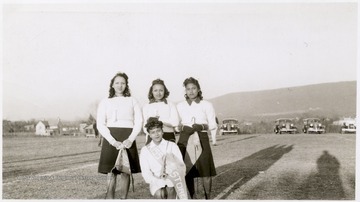 Miss Storer College, Myrtle Belcher, with Three Girls on Football Field, Storer College, Harpers Ferry, W. Va.
Miss Storer College, Myrtle Belcher, with Three Girls on Football Field, Storer College, Harpers Ferry, W. Va.